Chef Edward Lee’s story and his food could only happen in America. Raised in Brooklyn by a family of Korean immigrants, he eventually settled down in his adopted hometown of Louisville, Kentucky, where he owns the acclaimed restaurant 610 Magnolia. 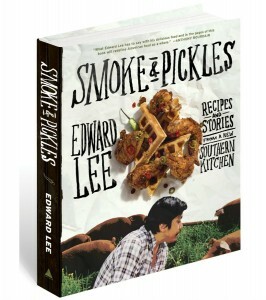 A multiple James Beard Award nominee for his unique patchwork cuisine, Edward creates recipes—filled with pickling, fermenting, frying, curing, and smoking—that reflect the overlapping flavors and techniques that led this Korean-American boy to feel right at home in the South.